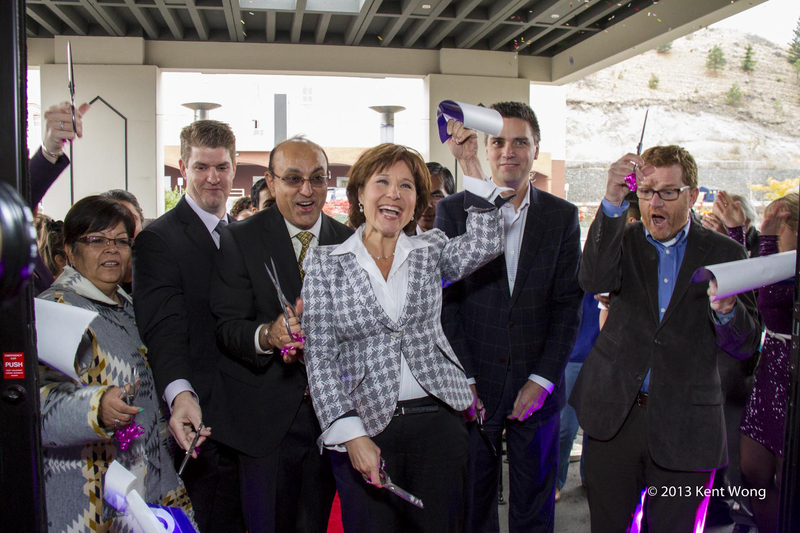 After undergoing a major multi-million dollar upgrade, the Coast Kamloops Hotel & Conference Centre unveiled its renovated facility October 24 to hundreds of guests, clients and dignitaries. Kamloops is thriving, and anyone who stays here for business, a tournament, or to visit the Thompson can see why. Owner Ron Mundi and Coast Hotels brand representatives were joined by Premier Christy Clark, Chief Shane Gottfriedson, Tk’emlúps te Secwepemc, The Honourable Todd Stone, Minister of Transportation and M.L.A. Kamloops South, The Honourable Terry Lake, Minister of Health and M.L.A. Kamloops North-Thompson, and Deputy Mayor Ken Christian. The twenty-five million dollar investment in the city and region - including the 9 million dollar renovation - has been driven by owner and local Kamloops businessman Ron Mundi. The initial renovation phase completed in March included a dramatic refresh of all 202 guest rooms, expansion of the front entrance to include a feature 18-foot high porte cochere, redesign of the hotel lobby, and exterior landscaping. The just completed phase two improvements include significant aesthetic upgrades to the conference and meeting space. “Kamloops is thriving, and anyone who stays here for business, a tournament, or to visit the Thompson can see why. 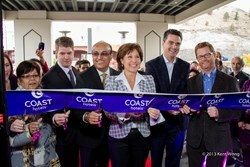 And just as we’re making sure vital services grow with the community, so are amenities like the Coast Hotel,” said Premier Christy Clark. 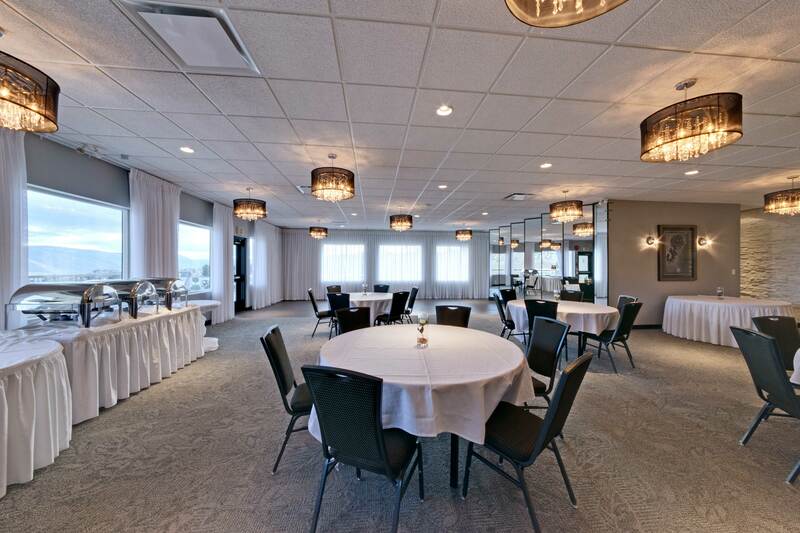 The Coast Kamloops Hotel & Conference Centre is the ideal base for conferences, conventions, tradeshows, banquets and social events within the province. “We are proud to deliver a signature hotel and conference venue for Kamloops and the region” said facility owner Ron Mundi. “Our investment demonstrates our commitment to delivering excellence to our customers” Mundi continued. Enhancements included transformation of 30,000 square feet of banquet facilities, a complete remodel of the washrooms, paint, new carpeting, wall coverings, ceilings, and light fixtures. “We entrusted this project to a local contractor who took the vision of our designer and made it a reality. On arrival visitors will appreciate the richness of the beautiful millwork coupled with the unique angular ceilings in the foyer” Mundi shared. Guests at the opening event celebrated the official opening with the hotel team and representatives from the Coast Hotels brand. “We are delighted to celebrate this achievement with our partner and franchisee” said Robert Pratt, president of Coast Hotels. “Mr. Mundi epitomizes Coast Hotels refreshingly local™ brand spirit and commitment to delighting our guests. The look and feel of the refreshed Coast Kamloops Hotel & Conference Centre is a true reflection of the Coast brand experience” Pratt added. 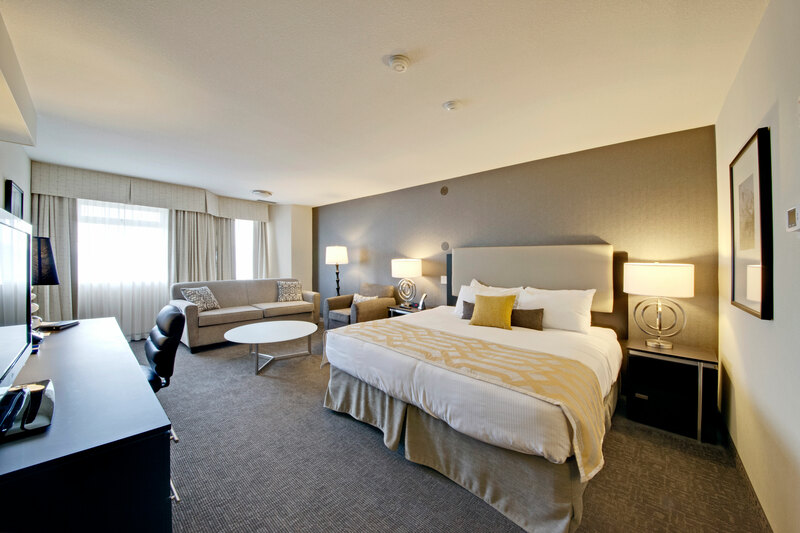 Following the refurbishment, the Coast Kamloops Hotel received a TripAdvisor® Certificate of Excellence. The accolade recognizes industry leaders that consistently achieve outstanding traveller reviews on TripAdvisor and is awarded only to the top-performing 10 per cent of businesses. A favourite in Kamloops, Coast Kamloops Hotel & Conference Centre delivers an ideal location for business and leisure travelers, and perfect home base for local activities including golfing, hiking and biking at Kenna Cartwright Park, arts and entertainment, and skiing at Sun Peaks Resort. Spacious renovated guest rooms in the 100% non-smoking hotel provide every comfort including complimentary high-speed Wi-Fi, flat screen TV’s, mini-fridges and microwaves. Amenities include a full service business centre and indoor heated swimming pool. Nearly 30,000 square feet of stunning meeting and conference facilities service and delight groups. The venue also boasts two dining offerings including Prestons Restaurant and Mama San Asian inspired lounge. Coast Hotels offers properties throughout British Columbia, Alberta, Northwest Territories, the Yukon, Alaska, California, Oregon and Washington. Coast owns, manages and franchises properties in cities large and small, as well as resort destinations. As one of North America’s growing – and Canada’s largest - hotel brands, Coast owes its continued expansion to its commitment to exceptional service, prime locations, value, and guest satisfaction. Visit coasthotels.com or call 1.800.663.1144.